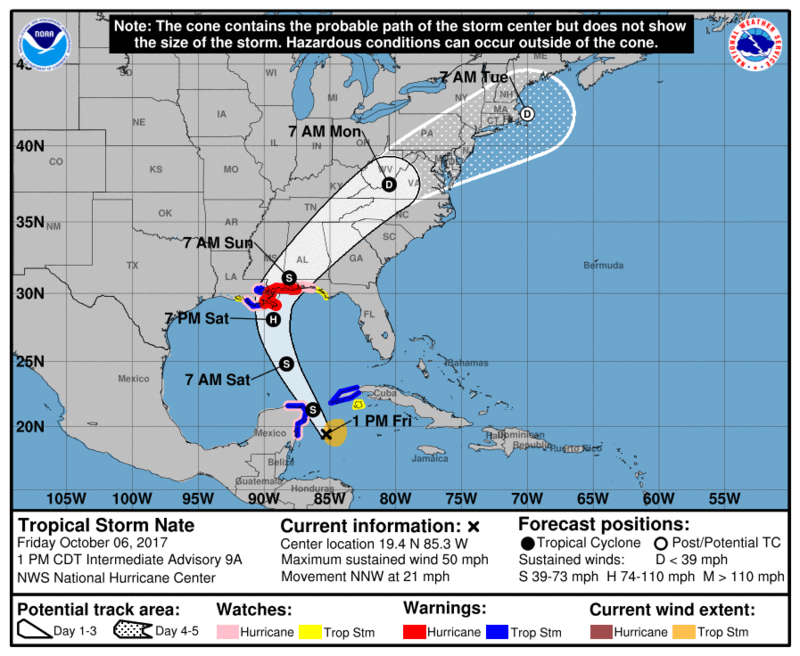 Nate is a weak tropical storm but expected to reach at least minimal hurricane status before making landfall between LA and the Panhandle of FL. We have had our share of tropical systems and major hurricanes this year. Our prediction was for an active year of hurricanes and even major hurricanes. Expect some heavy rainfall in parts of the area but flooding in others. Wind will not be the main issue with Nate but the rainfall will be. Consider becoming a member today and get all the benefits listed below and more in the future. We also go into much more detail about Nate including where we think he is going, weather effects, winds expected and map of rainfall expected. Why Not Use A Free Weather App? This is a good question and the reason is free apps use public weather models, are less accurate and are not personalized for major events. We have access to all the weather models and can show you local higher impact charts and maps for major events. Also, we will warn you about the potential impacts to life and property and apps do not provide that information. Think of us as your own personal meteorologist but for a fraction of the cost. Join today and see why hundreds of residential and business customers are saying that we are “Preparing You For The Weather” several days before local news outlets will even discuss it.